Well, color me pink! 30th Ave. Japanese restaurant, Pink Nori, has just added a brunch menu and man is it delicious. This menu is a fun alternative to breakfast meals or great for the late crowd. There are two options that are brimming with food and some sweet drink specials. The first listing is a Bento Box. So you have sections A (Entrée), B (Side), C (Sushi Roll), and you get a side of rice. Under each section, there are a couple of different choices so you can mix and match however you like. As if that wasn’t enough, it also comes with miso soup and a salad. 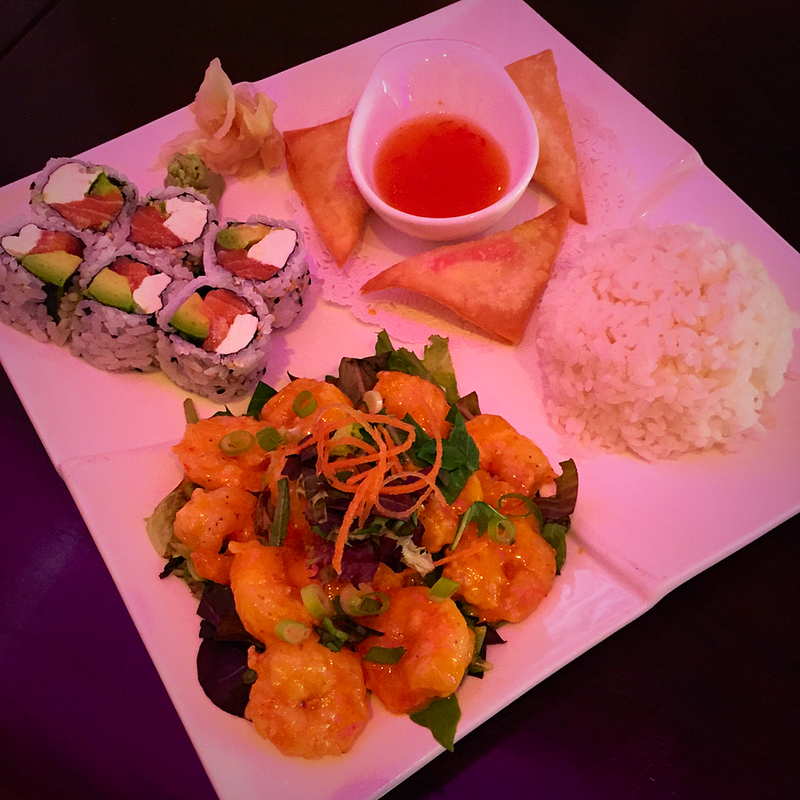 The rock shrimp are a must try. The Sushi sets are a little different. They’re already preset meal options. 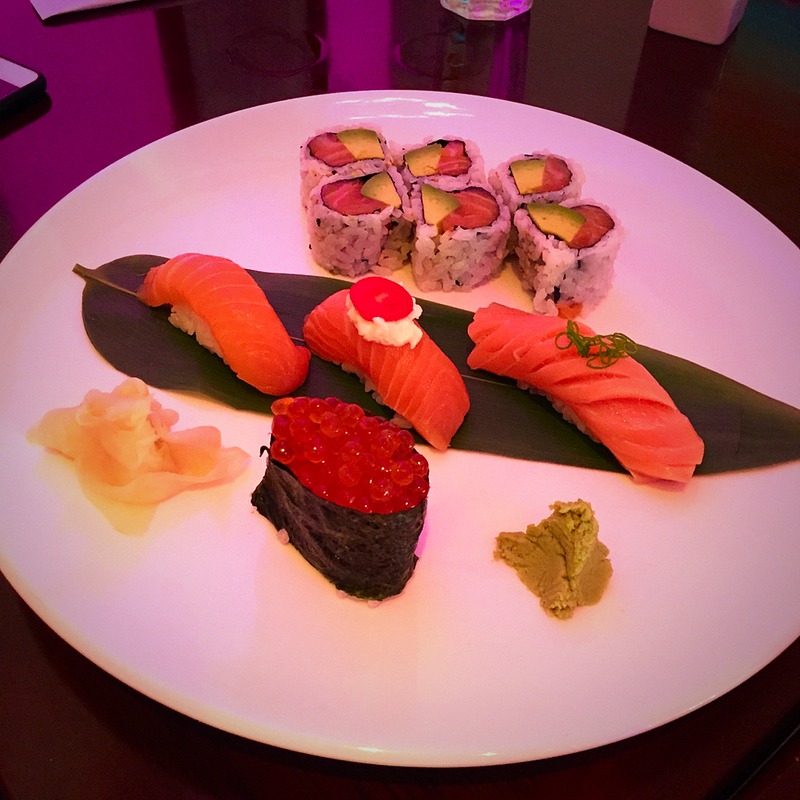 There are four pieces of sushi and one roll. 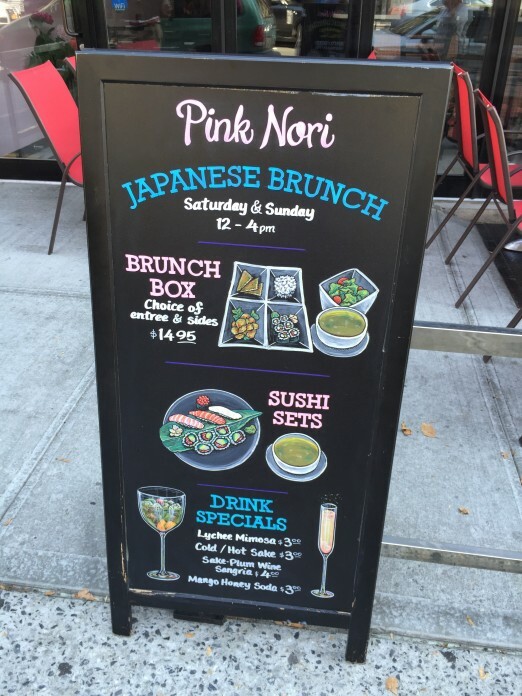 They have the Salmon Set, the Summer Set, and the Melt in Your Mouth Set. I’m personally a salmon girl, but doesn’t that Melt in Your Mouth Set sound enticing? 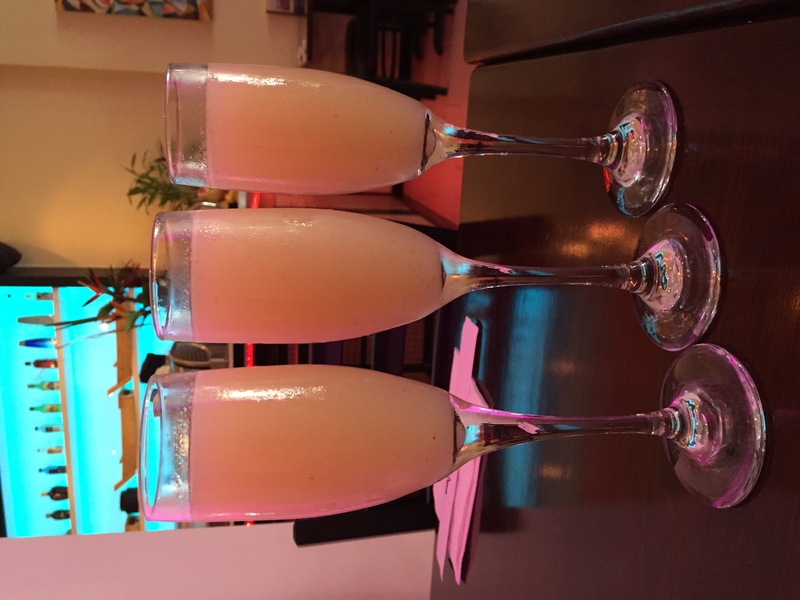 As delicious as Lychee Mimosa sounds on paper, it’s even better when you get your first sip. It’s a light and refreshing summer drink and a great change when you need a twist for your regular mimosa. Best of all because it’s brunch, a glass is only $3. 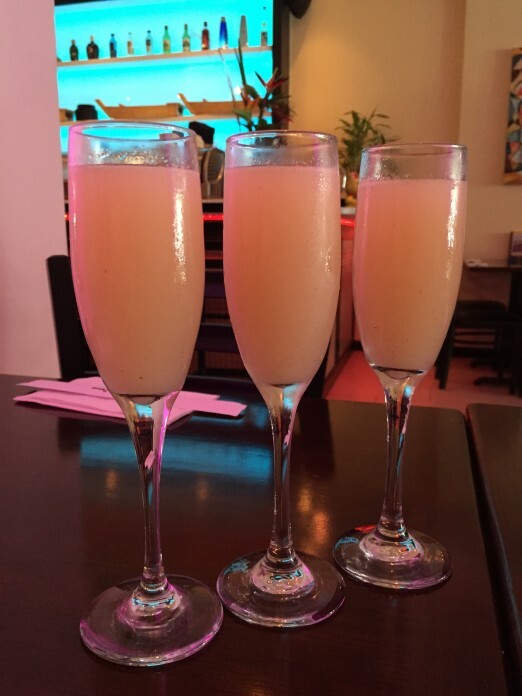 They also have deals for sake and a Sake-Plum Wine Sangria. 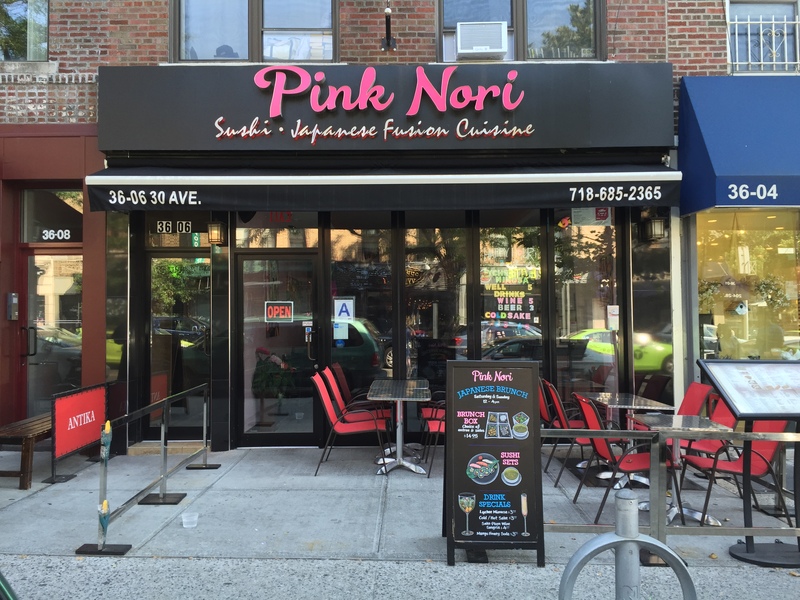 Have you been to Pink Nori Brunch yet? What were your favorite choices?